On Saturday, May 6, 7 AM – 7 PM, a team of birders will compete in the mid-coast regional tournament to see or hear as many bird species as possible from a defined location. This event is part of the Great Texas Birding Classic (Audubon Society) and the Connie Hagar Cottage Sanctuary is the 51st site on the Central Texas Coast trail. The contest begins at sunrise and continues all day. A 17-foot diameter circle will be defined from which birds are identified. Team members can rotate in shifts or stay all day. Canopies will be set up to provide shade and water and light snacks will be supplied. The Connie Hagar Cottage Sanctuary was established in 1995 to honor Connie and her husband Jack Hagar who owned and managed the Rockport Cottages at this site. Over the years the Friends of Connie Hagar held occasional events in Sanctuary to call attention to Connie’s role as a birder and environmentalist. She is a role-model as a “citizen scientist” as she collected data to show how active this coastal fly-way is during bird migrations. The Friends recently ensured that the property would remain protected in an agreement with Aransas First, a non-profit land trust. 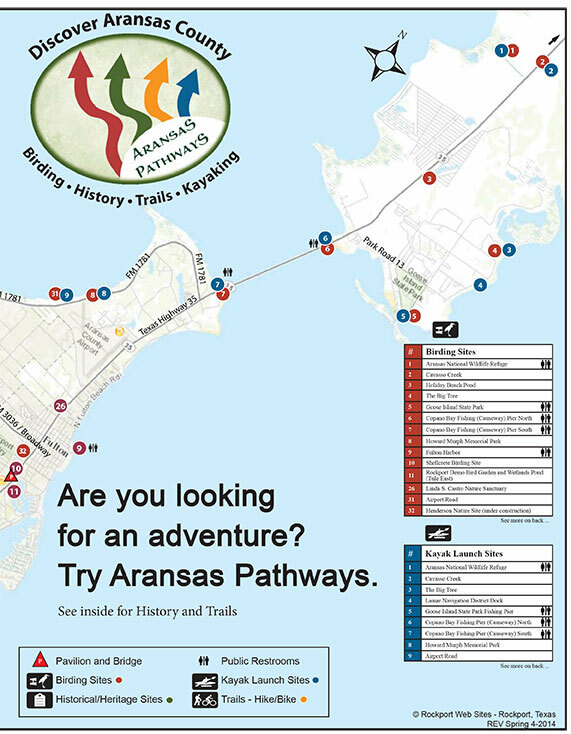 The Friends also partnered with Aransas Pathways to become an anchor site in south Rockport. Pathways provides on-going maintenance and supervision for capital projects at the Sanctuary. To join the Friends of Connie Hagar, contact Becky Stapleton, Vice-president, at philstapleton10@gmail.com (602) 705-3305.